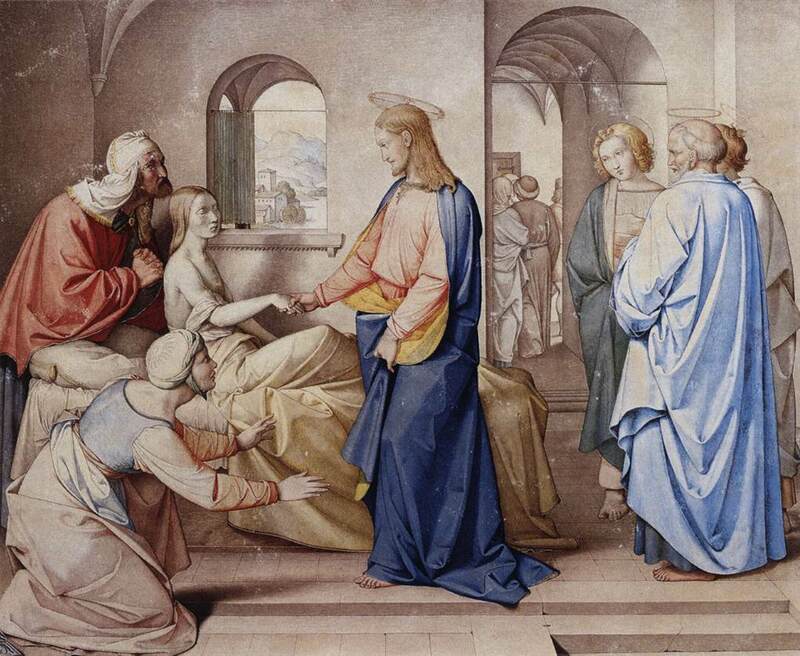 Today's gospel, Mark 5:21-43, weaves two different healing stories into one, that of the woman who had been bleeding for twelve years and that of the daughter of Jairus, aged twelve, who had just died. In the scene below, taken from Franco Zeffirelli's Jesus of Nazareth, the director focuses only on the story of the little girl. I don't know if the servant of Jairus, whom the latter addresses as 'Thomas' is meant in Zeffirelli's mind to be the future Apostle already showing the honest directness of the saint often referred to as 'Doubting Thomas', the saint who was to make the most explicit act of faith in the whole Bible, My Lord and my God. In this scene Jesus immediately leaves what he was doing in order to respond to an emergency. Much of our life is like that.